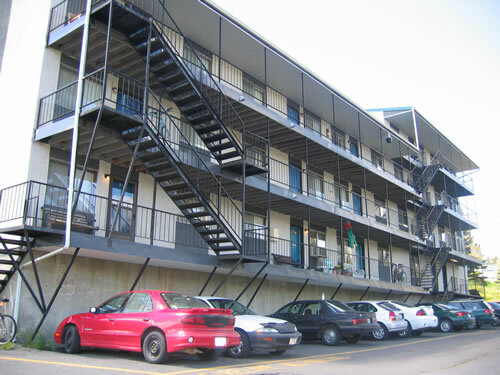 Apartment Rentals: Glendimer One Apartments Apartments, Pullman, WA: description. The Glendimer One Apartments is a single building with 30 one-bedroom apartments perched on Military Hill. It is a couple of blocks from Schweitzer Engineering Laboratories,1/4 mile from Dismores IGA, McDonald's, Starbucks and five other food establishments. It's just over 1/2 mile from the WSU Coliseum and approximately 3/4 of a mile from downtown Pullman. It's near Pullman's Hybrid Bus System, which is free to all students and WSU employees. It has spacious rooms with ample closet space, The living room and bedroom are large and airy; the bedroom has two large closets and a study alcove for a desk, chair and bookshelves.